Brings in enough profit to make it worthwhile for the owners to continue operation. 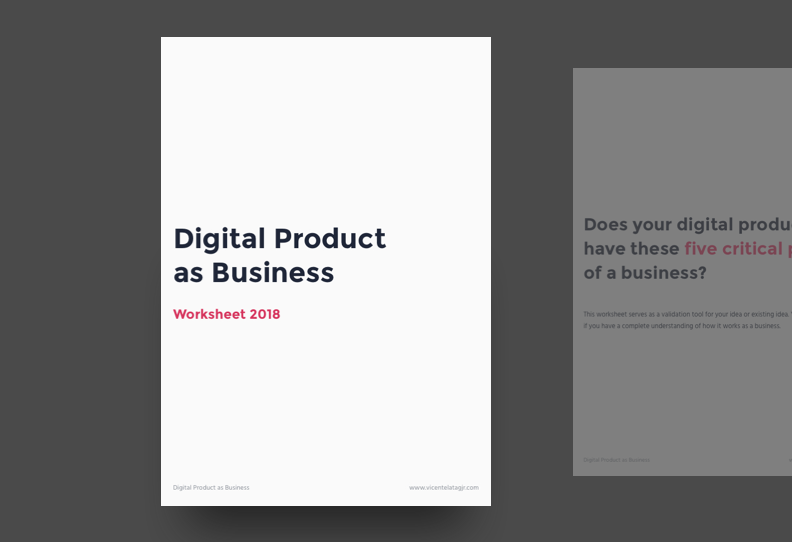 Then an idea came to my mind to create a worksheet that will apply these processes in terms of creating a good businesses model in a digital product. I tried to make it as simple as possible so it can help entrepreneurs of all levels. Consider it as the simpler version of the business model generation canvass. Whether you are a fresh graduate trying to build your own company or a veteran of the startup game, the worksheet might help you to understand the complete process of how your idea will work as a business. You can also use the worksheet to leverage your own idea in order to refine each factors that you have. This worksheet contains the questions that will help you understand the basis of every good business idea and business plan. Subscribe by entering your details and I will send you the pdf file.